Doctrinal nuggets! | Thy Word is Truth! Do Seventh Day Adventists have it right- is the Seventh Day Sabbath a creation ordinance? ….what happened to Him? Did He spend 3 days in the grave? Did He spend it at the Father’s side? Did He go into the depths of hell? This question came up recently at a “last supper” celebration I attended and it made for some good discussion. Here’s another question: As the Pharisees struggled to understand why their temple curtain was now ripped in two and its walls dislodged from the trembling ground, the Bible records seven things that Christ had told those present while hanging on the cross. Do you remember what they were? They contain a wealth of theology and hope for the believer. I await your responses with jubulant expectation! When you read a good article, you just have to pass it on. Kids just soak this stuff up! 2 Pet. 3:3-8 tells us that people who scoff at the Bible are “willingly ignorant” of the Creation and the Flood. In order to understand science and the Bible, we must not be ignorant of those two great events in Earth’s history. Over 250 Flood legends from all parts of the world have been found. Most have similarities to the Genesis story. Noah’s ark was built only to float, not to sail anywhere. Many ark scholars believe that the ark was a “barge” shape, not a pointed “boat” shape. This would greatly increase the cargo capacity. Scoffers have pointed out that the largest sailing ships were less than 300 feet because of the problem of twisting and flexing the boat. These ships had giant masts, and sails to catch the wind. Noah’s ark need neither of those and therefore had far less torsional stress. Even using the small 18-inch cubit (my height is 6-ft. 1-in. and I have a 21-in. cubit) the ark was large enough to hold all the required animals, people, and food with room to spare. It allowed water to go up into the hole as the ship crested waves. This would be needed to relieve strain on longer ships. The rising and lowering water acted as a piston to pump fresh air in and out of the ship. This would prevent the buildup of dangerous gasses from all the animals on board. The hole was a great place to dump garbage into the ocean without going outside. The ark may have had large drogue (anchor) stones suspended over the sides to keep it more stable in rough weather. Many of these stones have been found in the region where the ark landed. Noah lived 950 years! Many Bible scholars believe the pre-Flood people were much larger than modern man. Skeletons over 11 feet tall have been found! If Noah were taller, his cubit (elbow to fingertip) would have been much larger also. This would make the ark larger by the same ratio. See Seminar tape #2 for more info on this. Noah did not have to get the animals. God brought them to him (Gen. 6:20, “shall come to thee”). Only land-dwelling, air-breathing animals had to be included on the ark (Gen. 7:15, “in which is the breath of life,” 7:22). Noah did not need to bring all the thousands of insects varieties. Many animals sleep, hibernate, or become very inactive during bad weather. All animals (and people) were vegetarians before and during the Flood according to Gen. 1:20-30 with Gen. 9:3. The pre-Flood people were probably much smarter and more advanced than people today. The longer life spans, Adam’s direct contact with God, and the fact that they could glean the wisdom of many generations that were still alive would greatly expand their knowledge base. 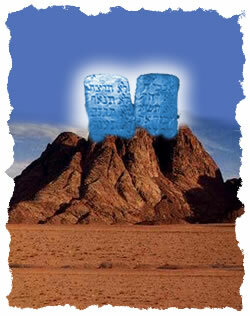 The Bible says that the highest mountains were covered by 15 cubits of water. This is half the height of the ark. The ark was safe from scraping bottom at all times. The large mountains, as we have them today, did not exist until after the Flood when “the mountains arose and the valleys sank down” (Ps. 104:5-9, Gen. 8:3-8). There is enough water in the oceans right now to cover the earth 8,000 feet deep if the surface of the earth were smooth. Many claim to have seen the ark in recent times in the area in which the Bible says it landed. There are two primary schools of thought about the actual site of the ark (see my Creation Seminar Part 3 video for more on this). Much energy and time has been expended to prove both views. Some believe the ark is on Mt. Ararat, covered by snow (CBS showed a one-hour special in 1993 about this site). The other group believes the ark is seventeen miles south of Mt. Ararat in a valley called “the valley of eight” (8 souls on the ark). The Bible says the ark landed in the “mountains” of Ararat, not necessarily on the mountain itself. The continents were not separated until 100-300 years after the Flood (Gen. 10:25). The people and animals had time to migrate anywhere on earth by then. See Seminar Part 6 for more information. The top 3,000 feet of Mt. Everest (from 26,000-29,000 feet) is made up of sedimentary rock packed with seashells and other ocean-dwelling animals. Sedimentary rock is found all over the world. Sedimentary rock is formed in water. Petrified clams in the closed position (found all over the world) testify to their rapid burial while they were still alive, even on top of Mount Everest. Bent rock layers, fossil graveyards, and poly-strata fossils are best explained by a Flood. People choose to not believe in the Flood because it speaks of the judgment of God on sin (2 Pet. 3:3-8). God’s Word is explicit in teaching that YHWH alone is to be “worshipped” (Ex. 34:14; Ps. 81:9; 97:7; Matt. 4:10/Luke 4:8; Rev. 19:10). We are given examples in God’s Word of people who were rebuked, chastised, or judged for worshipping the creation (Zeph. 1:5; Acts 7:42; Romans 1:25), “gods” (Joshua 24; 2 Kings 17; 1 Cor. 8:5), idols (Lev. 19:4; 26:1; 1 Chr. 16:26; 2 Chron. 34:7; 1 Cor. 10:14; 1 Jn. 5:21), images (Ex. 20:4; Isa. 42:8, 17; 44:15; Jer. 8:19; Rom. 1:23; Rev. 16:2; 19:20), “relics” (2 Kings 18:4), material things (Matt. 16:26; Luke 12:20; Acts 17:29; Col. 3:5), “saints” (Matt. 17:4; Acts 10:25-26), and even angels (Col. 2:18; Rev. 19:10). God says, “I am YHWH: that is My Name: and My glory I will not give to another … For My own sake, even for My own sake, will I do it: for how should My Name be polluted? 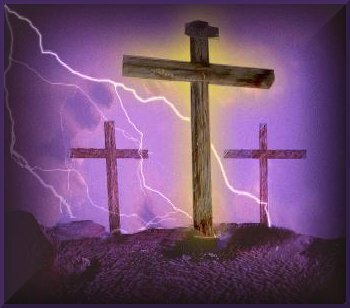 and I will not give My glory to another.” – Isaiah 42:8 and 48:11. Reader, this is the crux of all debates concerning the Deity of Christ : He is worshipped, and that with His Own approval and the approval of the Father. He is often worshipped by Jews in the above passages – Jews who would never deny their monotheistic faith! How much clearer can it get? If this fact alone were all the proof I had for Christ’s Deity, I would be on solid ground.